Almost a century ago, Captain James T. Kirk and the crew of the Starship Enterprise first encountered the irresistible (and astonishingly prolific) life-form known as the Tribbles5, resulting in one of the most unususal adventures in the annals of Starfleet. Now Captain Benjamin Sisko and the crew of the Defiant are transported back in time to that historic occasion, where Darvin, a devious Klingon spy, plots revenge against Captain Kirk. 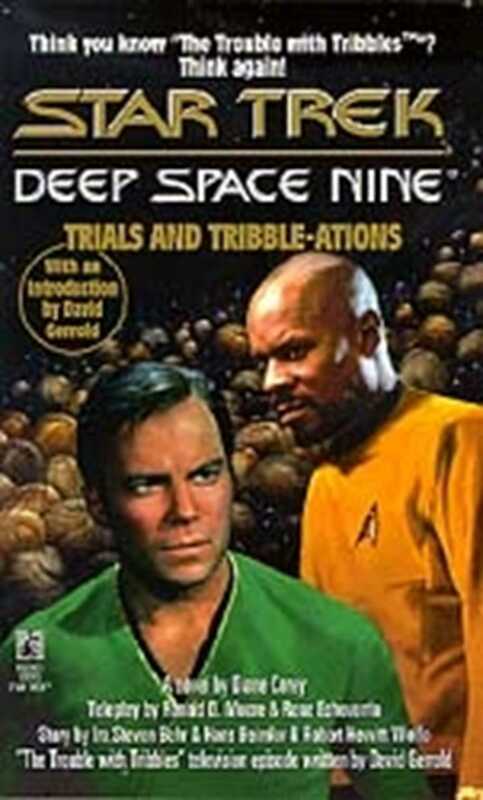 Using the seemingly harmless tibbles, Darvin attempts to destroy Kirk -- but for the misplaced residents of Deep Space Nine saving the original Enterprise willbe nothing but "tribble." An exciting new novel based on the most mind-boggling STAR TREK: DEEP SPACE NINE adventure of them all!